But, it’s easy to think that your contributions, your talents, your money or your time isn’t important enough. Or somebody can do a task better than you. And then shrink back doing nothing at all especially when it comes to the biggest problems in the world like orphan care. Yet, I’m a strong believer that everybody can do something, as I’ve thought much about lately. Maybe it’s because I have the preschool show, Daniel Tiger often on the brain thanks to my 2-year-old daughter. Daniel Tiger, a Mister Rogers spin-off encourages kindness, responsibility and service to preschoolers. Daniel Tiger says that no matter how little a person thinks they are– everybody can do something. So to encourage you that everybody can do something, I want to introduce you to Rev. Mindy. Rev. Mindy is a colleague that I’ve met through clergy networks online. 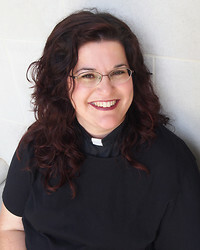 She’s an American, but currently serves as minister of several Methodist congregations outside of London, where she lives with her husband and children. Thanks to our online connection, Rev. Mindy read about the work I was doing with Our Courageous Kids with interest. 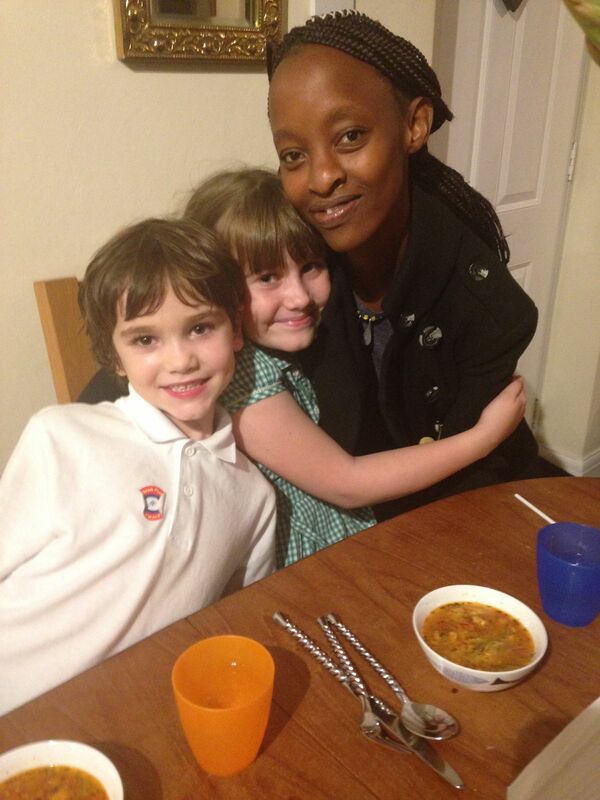 Several months later, she reached out to me after I shared about the project of sending Rahab to graduate school in the UK saying that she was not in a position at this time to financially support her education but that she and her family would be glad to be a resource to Rahab when she arrived. No person ever outgrows the need for family. Students who are reaching for their dreams, studying in far away places and especially those who may not have an intact biological family to go home to after graduation. They especially need to experience life in family. So, since arriving in London, Rahab and Rev. Mindy’s family have been able to get together several times for shared conversation over meals. Rahab shared stories about life in Kenya with Rev. Mindy’s kids. I couldn’t have been happier to receive photos like this. It did my organizing mama heart good to know that Rahab is getting an experience of family and support– the kind of experience that could only come from someone who lives close by. There are plans in the works for meals together in the future. Thank you so much, Rev. Mindy and family for getting to know one of our courageous kids. Likewise, in your own unique way, I’d love for you to be a part of the new movement in orphan care called Our Courageous Kids. Do you have women’s groups, school groups or church groups that you’d love us to come and speak to? Share that info that with us here. Do you have skills in event planning, social media or marketing that you’d like to offer? Be in touch here. Do you have a social media account that you could share this story with today? Do so now. Do you think your congregation could host an Orphan Sunday this fall or sometime in the future? If so, read more here. Do you think you could financially support the spring tuition payment for the competition of Rahab’s degree program? If so, donate here. Or maybe you have an idea to support our work that we haven’t even thought of yet. Share that with us now. Looking forward to hearing from you, friends. Many thanks to all of you who supported our end of year giving campaigns! For all of you who generously gave in 2016, you supported three projects. I’m so excited to tell you about them today. 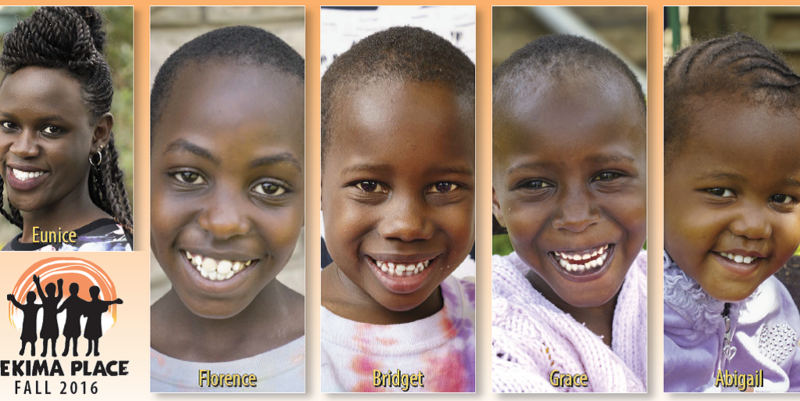 Our Courageous Kids asked Feed the Children Kenya– a residential facility for 100 + children, many of whom have special needs– what would help them thrive in the New Year. The answer was a trampoline for their playground! 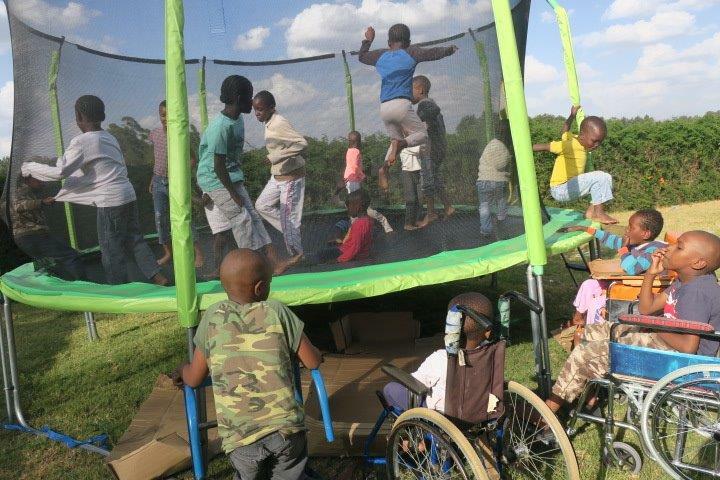 Though trampolines are a Christmas gift many parents can easily provide their children in the US such equipment is quite expensive in Kenya. So for the center to have a trampoline: a pure treat! As you can see the kids were thrilled to jump and jump till to their heart’s content knowing that this was theirs (not a rental that needed to be returned the next day). Kids of all abilities enjoyed playing with it, each in their own special way. Casa del Nino is a residential center for boys between the ages of 6-17 living in La Cieba, Honduras. 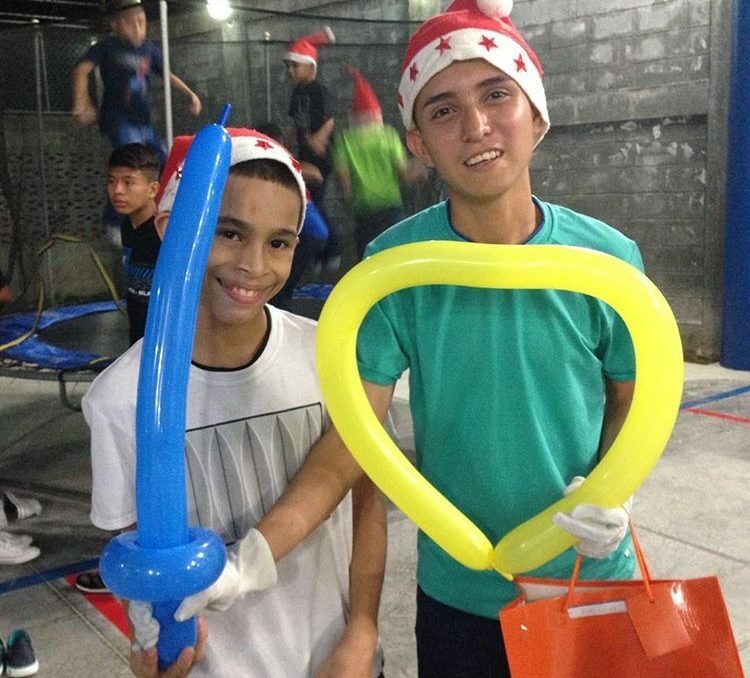 When Our Courageous Kids asked what would help them thrive in the New Year they asked for us to support their Christmas festivities. 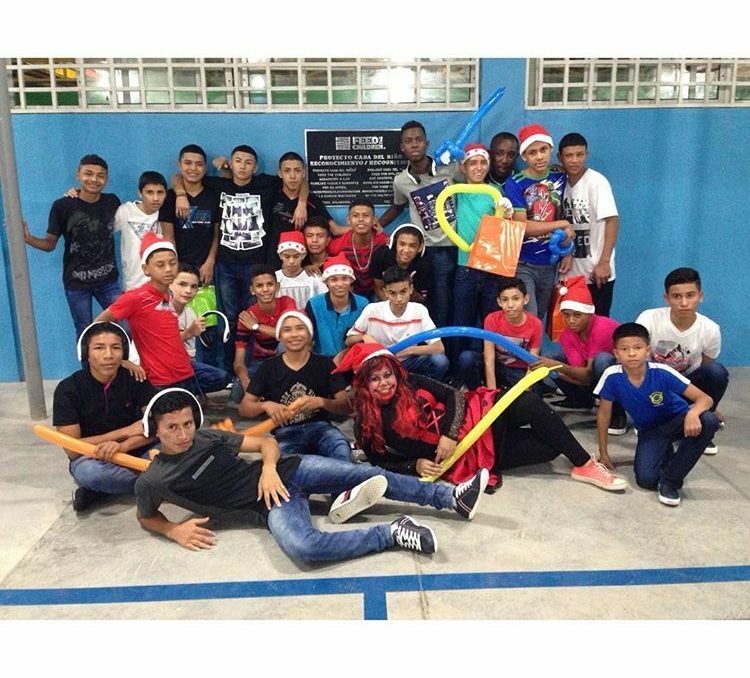 On Saturday, December 19th, the boys along with their caregivers celebrated Christmas in style. 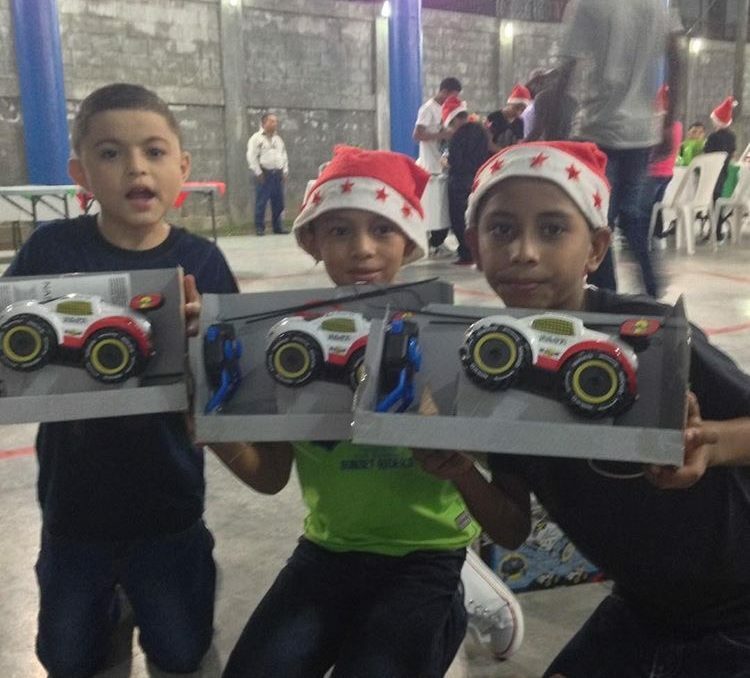 Each child at the center received a Christmas present (something that would not happen without Our Courageous Kids’ support). The children laughed, danced and played with games and special rented activities on their campus. You can tell by their smiles that they had a great time! 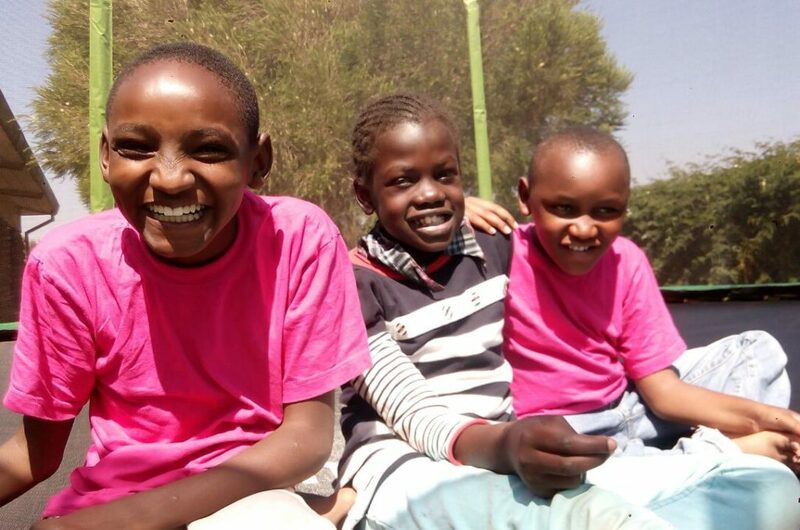 Hekima Place is a residential center for over 60 girls from infancy to late teens in Kiserian, Kenya. Most of the girls at Hekima Place have been orphaned by HIV/ AIDS. When Our Courageous Kids asked Hekima Place what they would like to thrive in the New Year they said support for their counseling program. Many of the girls comes to Hekima after experiencing abuse or trauma. They need a safe place to share their experiences and work through their feelings of loss. 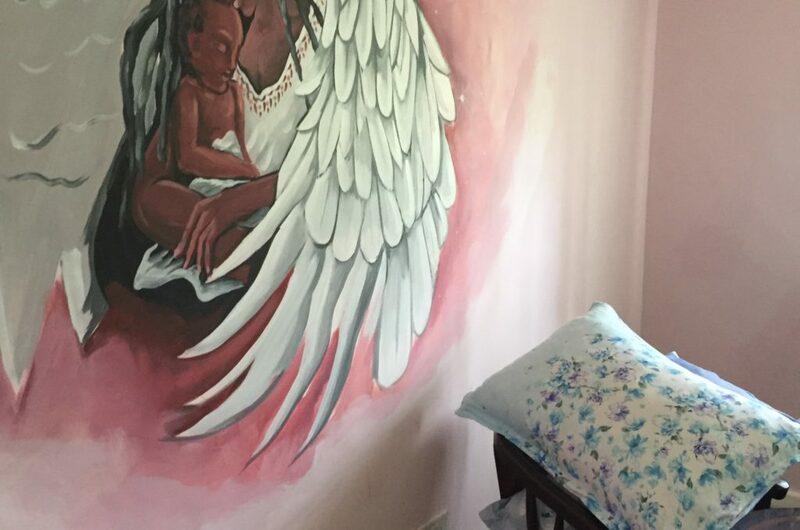 When I visited the center last April, I was impressed by the staff’s attention to the emotional wellbeing of the girls and enjoyed seeing the room where the counseling takes place. Your donation to Hekima ensures that this program has the funds it needs for the 2017 operating year. As we move forward toward supporting more projects in 2017, we’d love to have your support as monthly giver. See below how you can make reoccurring donations through Pay Pal. Our Courageous Kids is a 501(c)3 tax exempt organization. Donations and contributions are tax deductible as allowed by law.